Normally For Arduino We use Regular IR Distance Sensor. There are reasons why we need to publish a separate article comparing Regular IR Distance Sensor Vs Sharp IR Distance Sensor. It is basically meaningless to buy Regular IR Distance Sensor unless there is reason. Because Ultrasonic Distance Sensor is quite closer in function and cost. 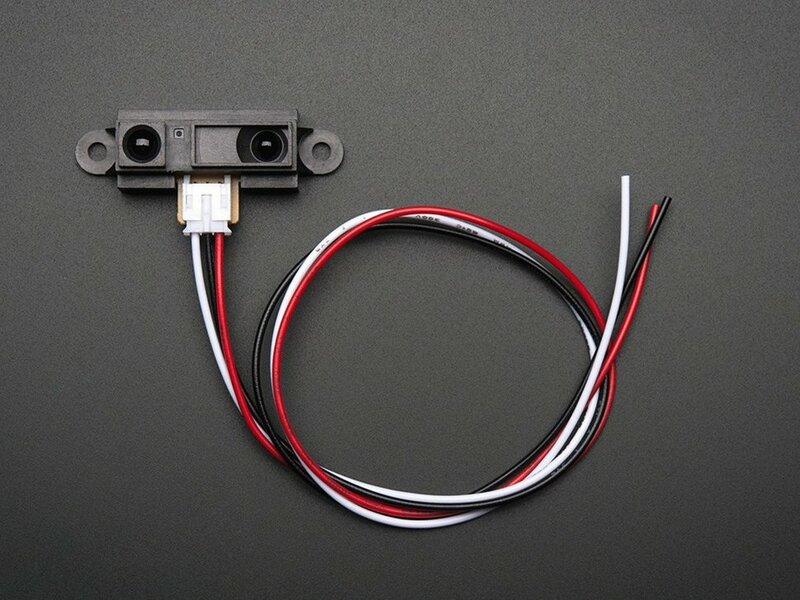 Regular IR Distance Sensor is cheap and great to use as multiple units on a moving thing like robotic car project. At similar price, Ultrasonic Sensor is another candidate. A Regular IR Distance Sensor can only send signal if an object is bouncing back the IR light with the set distance by approximate adjustment by potentiometer. It is better to call them IR Infrared Obstacle Avoidance Sensor. However, this regular sensor is unable to inform how far away that object is. That distance measuring is exactly where the Sharp IR Sensor makes the difference with regular one. The Sharp Distance Sensor has a special detector which determines object like regular one, but it can also measure how far away an object is and returns analog value. It is better to call them Range Finder. Also, the build quality of Sharp IR Sensor is far superior than cheap China regular IR Distance Sensors. Then why not Ultrasonic distance sensor? Ultrasonic sensors are really good when you want to measure from a distance, but using a lot of ultrasonic sensors in your project would increase the cost in one project. Ultrasonic sensor beam spread at maximum sensitivity is 38 inches across at 10 ft away from the sensor. The sensor can detect all types of obstacles like metal, wood, concrete wall, plastic etc with very less affinity with the lighting conditions. But velocity of the ultrasonic wave is usually affected by the parameters such as ambient noise, temperature, humidity. The infrared (IR) sensor offers a high resolution quicker response time compared with the ultrasonic sensors. The infrared distance measurement sensor works on the principle of optics. Additionally LEDs have longer longevity. As you can see, what thing needed depends on use case. Sharp IR Distance Sensor is good for creating some meters to measure relatively accurate distance. Sharp GP2Y0D810Z0F Distance Sensor works within only 4″ distance and very fast, low cost. Sharp GP2Y0A710K0F Distance Sensor works up to 15 feet. Sharp GP2Y0A21YK0F Distance Sensor works up to 3 feet and that has “clones”. This Article Has Been Shared 564 Times! Cite this article as: Abhishek Ghosh, "Regular IR Distance Sensor Vs Sharp IR Distance Sensor (Arduino, Pi)," in The Customize Windows, April 24, 2018, April 26, 2019, https://thecustomizewindows.com/2018/04/regular-ir-distance-sensor-vs-sharp-ir-distance-sensor-arduino-pi/.